The White House released a report stating that the number of international visitors to the United States has grown from 55 million in 2009 to a record 70 million in 2013, with visa issuances up 42 percent since 2010, according to State Department figures cited by PBS. According to government data cited by the Wall Street Journal, those 70 million visitors spent $181 billion in the United States last year. So it makes sense to facilitate legitimate international travel. But there is a very fine line between legitimate tourists and migrants who want to work and "facilitating" travel is a very slippery slope. As a former Foreign Service officer, I interviewed well over 10,000 foreigners for visitor visas in the previous decade, and can state with certainty that not a single one of them wanted to visit the Baseball Hall of Fame. The first question we always asked visa applicants was, "What is your purpose of travel?" Very rarely did the answer involve any tourist attraction in the United States, save for Disney World. No one in their right mind is going to oppose reducing wait times at airports or expediting the visa process, but facilitating international travel shouldn't lead to adding more countries to the visa waiver program or allowing in as "tourists" people with tenuous ties to their home countries who are likely to seek work here. 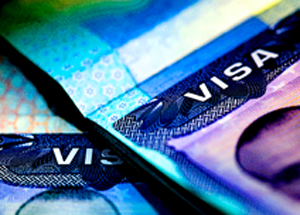 Is it a hassle for people from non-visa waiver countries to apply for an American visa? Yes, it is. Applicants have to travel to an embassy or consulate for a personal interview, pay a non-refundable $160 fee, and have to submit to long lines and being fingerprinted, not to mention frisked on the way in. But in many countries, successful applicants can qualify for a multiple entry, 10-year visa. And we are more lax than any country in the world in terms of how long we let tourists stay. Nearly everyone with a tourist visa gets six months at the port of entry and can extend for up to a year and a half. Some "tourists" manage to live (legally) and work (illegally) in the United States with their B1/B2 tourist visas more than 50 percent of the time, so on a 10-year visa, they can conceivably spend 5-6 years in a decade in the United States. Now that's what I call tourism. We should cut back on airport wait times, not just for foreigners, but for Americans, too. And I'm all for expediting the visa process, but first we need to tighten up the system to crack down on those who overstay tourist visas or abuse them by picking up work, placing their children in our public schools, and so on. We need a more reliable entry-exit tracking system, we need to give tourists no more than 90 day stays to discourage visa abuse, and we need to refuse visa applicants who have weak ties to their home countries. If we do all of that (fat chance! ), we'll finally have a visa system with some integrity. And I'm pretty sure the Baseball Hall of Fame and other iconic American tourist attractions will still be full.